Special Approach: Cover all relevant aspects but also allow for substantial discussion time. + What are the fibers? + Is there a direct relation between infall onto the Galactic plane and the overall star formation process? + Would we expect any massive pre-stellar core? + Is there agreement that early disks are found to be smaller than late disks and that magnetic fields are expected to hinder large disks? 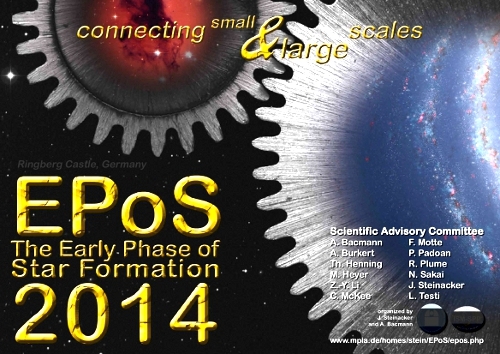 + Is it correct to speak of a new observationally-driven paradigm for star formation?